Every summer, music lovers from around the world flock to Warsaw to attend the highlight of the city's music season, the Warsaw Chamber Opera's Mozart Festival. 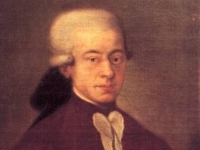 Presentations of the stage works of Wolfgang Amadeus Mozart include some of his most popular operas, including Don Giovanni and The Marriage of Figaro, among many others. The programme is typically comprised of about 40 shows and concerts: in fact, at its inception the festival was the only one in Europe to showcase Mozart's entire output for the stage, and the programme still includes all the composer's operas as well as selected oratorial works, symphonies, instrumental concertos and chamber works. The performances take place in the most prestigious and beautiful venues the city has to offer, including the Royal Castle, Royal Theatre, Wilanow Palace Museum, Warsaw Chamber Opera Theatre, Church of the Holy Cross, and the Seminary Church. The Mozart Festival has been held for more than 20 years and is one of the most popular and famous events in Warsaw, conveniently scheduled for the summer, which is the peak tourist season in Poland. There are a variety of ticket options and fanatics can buy special passes which come with a range of benefits. For more information check out the official website listed below.